Island of Secrets is launched in E-book format. Patricia Wilson, an English ex-pat living in Crete, dug up a rusted machine gun in her garden. And Island of Secrets was born. Why would there be a machine gun buried in the ground in the quiet Cretan town of Amiras? What secrets does the island hold? And what happened in World War II that rocked the lives of the townsfolk for generations to come? Patricia Wilson is one of our favourite authors at Jefferson Franklin. Her debut novel is based in a truth of the war which rocked the lives of the people of Amiras. Telling the story of Maria Kondulakis of Amiras, her daughter Poppy, and her granddaughter Angie, it’s a page-turning wonder with plenty of atmosphere. It’s a story about the horrors of war, the wonder of women, and the strength it takes to face dark secrets and build something positive out of the ashes of the past. That’s why major publisher Bonnier Zaffre snapped it up as part of a two-book deal. And that’s why you should read it now it’s released in e-book format. It’s a summer beach read, absolutely, with romance, thrill, atmosphere and character. It spins you along a plot that’s full of ups and downs and sidesteps that keeps you guessing all the way to the end. Knowing that the book is based in truth makes it more special than any other beach read you’ll buy this year. Get Island of Secrets from Amazon now, and join the Patricia Wilson fan club. Patricia Wilson tells the story of the women of Amiras. That’s rarely truer than in the case of our latest news. We first met author Patricia Wilson in the writing group www.youwriteon.com some three years ago. Her debut novel clearly had punch to it even back then, and the sense of a story that absolutely had to be told. You’ll never be quite the same once you’ve read Island of Secrets, and believe us you will, because the story gets right under your skin, based as it is in the facts of World War II as they touched the town of Amiras in Crete. When you dig up a World War II machine gun in your garden, as Patricia did, you want to find the story behind it. 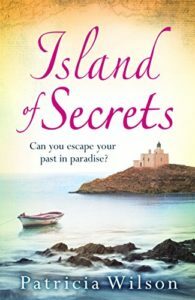 Island of Secrets is that heartbreaking, cathartic, uplifting story. 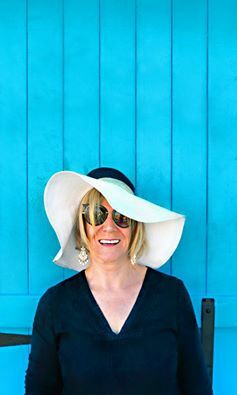 We were delighted when Patricia asked us to edit the story for her, and the delights have kept coming ever since – first she found representation for the book with Tina Betts at Andrew Mann, and now, no less a publisher than Bonnier Zaffre has acquired the world rights to the story as part of a two-book deal. Island of Secrets is a dramatic and completely immersive summer read. Greek matriarch, Maria, is dying and must share her personal story before it’s too late. Her story is interwoven with the German occupation of Crete during the Second World War, and shows the lengths to which a mother will go to protect her children. We at Jefferson Franklin are humbled to have been able to help Patricia tell the story of the women of Amiras, and delighted that it will get the audience their story so richly deserves. Bonnier Zaffre will publish Island of Secrets in February 2017 in e-book format, and May in paperback. You’re going to want to keep the tissues at the ready for this one – for better and worse.